For a team building event one year, Pearlyn Phau and her colleagues went to Chiang Mai — not to live it up at a luxury resort, but to drive for hours to orphanages near the Myanmarese border as part of their corporate social responsibility efforts. The group raised funds to build gutters and install water filters for migrant camps; brought with them some 30 boxes of clothes and supplies; visited facilities for stateless and displaced youths that depended entirely on private donations for their operating costs; and constructed a library for an orphanage and stocked it with books. Pearlyn Phau reached out to the Community Chest (ComChest), becoming a committee member in 2016. 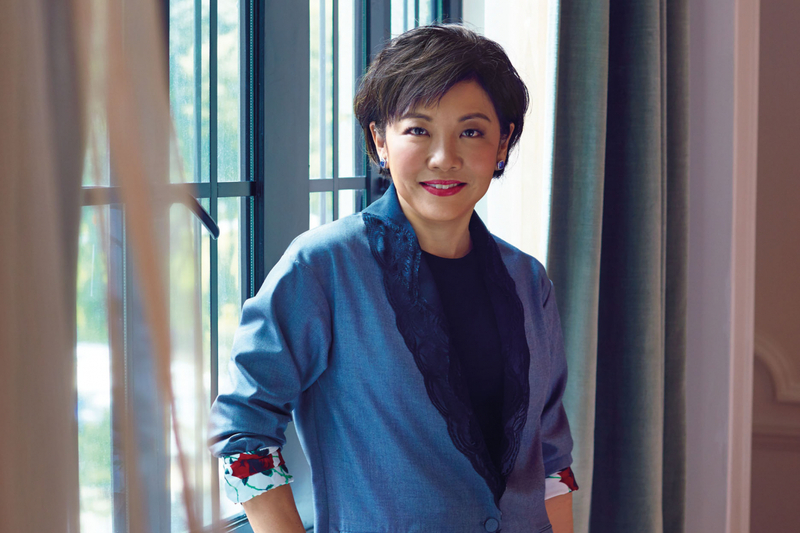 The following year, she served as Chairman of the fundraiser’s High Net Worth and Legacy Giving sub-committee, which spearheads the Onefor10 initiative. The initiative connects high net worth individuals and family offices with the vulnerable and those from disadvantaged backgrounds. Onefor10 encourages the privileged to build giving into their legacy and contribute in a targeted, effective manner, Phau explains. It also nurtures reliable, consistent donation, which is vital to the health of ComChest. Born out of a gathering of venture philanthropy partners, who shared information on the social services landscape and the approaches required to help various groups in need, Onefor10 has soft-launched with its steering team already reaching out to foundations and private banks with local presence. “Success for Onefor10 will be seeing ComChest engage high net worth individuals in a significant way and in so doing see them influence their peers and the wider spheres they impact to also participate in giving,” Phau says. Tailoring a donation programme for high net worth individuals presented unique challenges to the High Net Worth and Legacy Giving sub-committee, Pearlyn Phau explains. For one, ComChest is perceived as open to all who are underprivileged, whether children, elderly or low-income families. Onefor10 not only advises on the specific causes, platforms and key projects that donors are able to commit to, but also ensures that donors are kept apprised on the outcome of their giving. For example, a donor interested in education may consider sponsoring the education needs of a disadvantaged child, whose progress will be shared with the donor, Phau shares. Besides a strategy based on more emotive storytelling, the sub-committee has also pushed for a significant social media and digital element to leverage the peer-to-peer influence of the high net worth segment. From her early memories of seeing secondary school students raising funds on Flag Day, to many weekends during her undergrad studies at NUS she spent paying $5 for a $1 stick of malt candy from an old lady at Holland Village (“It struck me how, even though she was in need, she refused to beg but insisted on giving the candy in exchange.”), Phau has made charity a defining feature of her work. She has made four trips to the orphanages on the Thailand-Myanmar border, the last with her son, a Primary 6 pupil who was tasked with organising his own donations.